The Red and Whites, who have won the tournament two times in the past three years, have experienced a managerial change at the helm before the draft when they appointed Teddy Sheringham as the head coach of the team. The Kolkata side did not stop at the appointment of the Englishman as the gaffer but went on to appoint I-League winning former Bengaluru FC head coach Ashely Westwood as the Technical Director of the team. 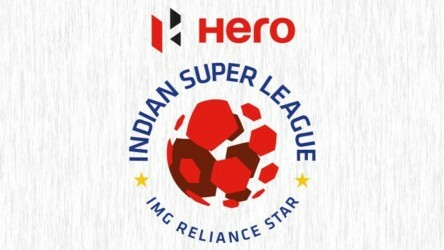 This resulted in the Kolkata franchise securing the likes of Eugeneson Lyngdoh as well as other star Indian players such as Robin Singh and Jayesh Rane. Although, picking a strong team from the draft might be a cause for celebration to the ATK fans, how the team will fare in the upcoming tournament against other top sides will surely be a different tale to tell, surely depending on the performances and squad depth the Indian foil will provide. Here is a little insight into the dressing room and philosophy of the newly revamped ATK side. 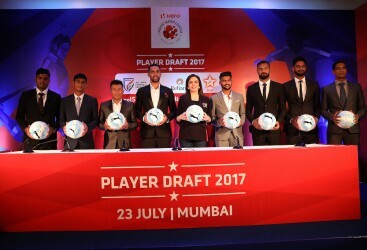 The two times winner of the coveted ISL trophy, formerly known as Atletico De Kolkata, spent a fortune to pick up 13 players in the ISL draft that took place in Mumbai on Sunday. The Sourav Ganguly co-owned side started their draft process with a bang as they decided to rope in one of the two most expensive players in the draft, defensive midfielder Eugeneson Lyngdoh. The next bid saw them swoop Aizawl FC’s I-League winning forward Jayesh Rane for the upcoming season. The spree continued as they went on signing other star names such as Robin Singh, Keegan Pereira, Ashutosh Mehta and Anwar Ali. They also picked up a secondary goalkeeper in former Northeast United FC goalkeeper Kunzang Bhutia. The Teddy Sheringham-coached team also signed exciting young players such as Hitesh Sharma, who have displayed impressive performances for both club and country. ATK also got the likes of Shankar Sampingraj, Rupert Nongrum, Augustin Fernandes, Ronald Singh and Bipin Singh. 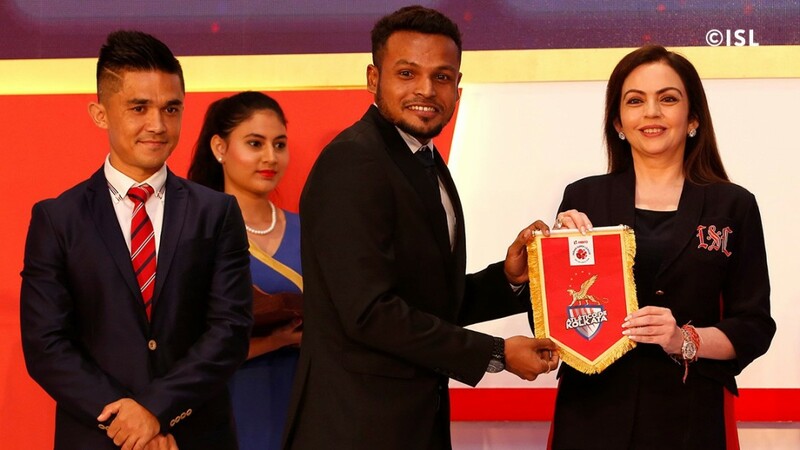 Apart from the draft picks, the two-times ISL winners had also retained Debjit Majumder and Prabir Das from their squad of last season, which helped them with security under the bar and a versatile player. The Kolkata based outfit has not signed any foreign players yet. However, if rumours are to be believed, the Red and Whites are already having advanced talks with former Inter Milan and Liverpool forward Robbie Keane along with Crystal Palace and Wales midfielder Jonny Williams. Although, there has not been any official confirmation from the club to back these transfers yet. The new and revamped ATK had a rather impressive time in the ISL Draft, with new coach Teddy Sheringham and technical director Ashley Westwood's presence and knowledge of Indian football easily evident. Sheringham was pretty straightforward when asked about his philosophy at ATK during his unveiling on Saturday, as he spoke on how he'd like to play attacking, attractive football for the fans. What he held above anything else is how winning is more important than anything else and how he'd like to build a team who have the winning mentality instilled in them. Teddy and Ashley Westwood bought the players who have that mentality and can also play attractive football. From a tactical point of view, it seems like ATK will be shifting to a more attacking formation this season because of Sheringham and Westwood's mentality of playing fluid, attractive football which can entertain the fans. We've seen them play the 'Spanish' method of football i.e. : possession-based, defensive football but it seems that might change this time around. 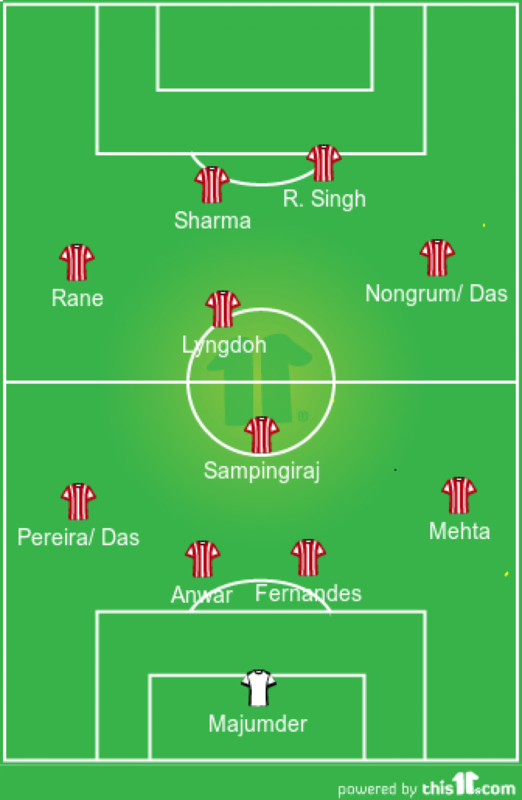 Sheringham will probably play a 4-1-3-2 formation by the looks of it with the trio of Rane, Singh & Lyngdoh being key to their success. ATK's defensive shape looks pretty solid regardless of the seemingly different approach this season, as they did retain their spectacular goal-keeper Debjit Majumder who played a big part in their ISL win last season. 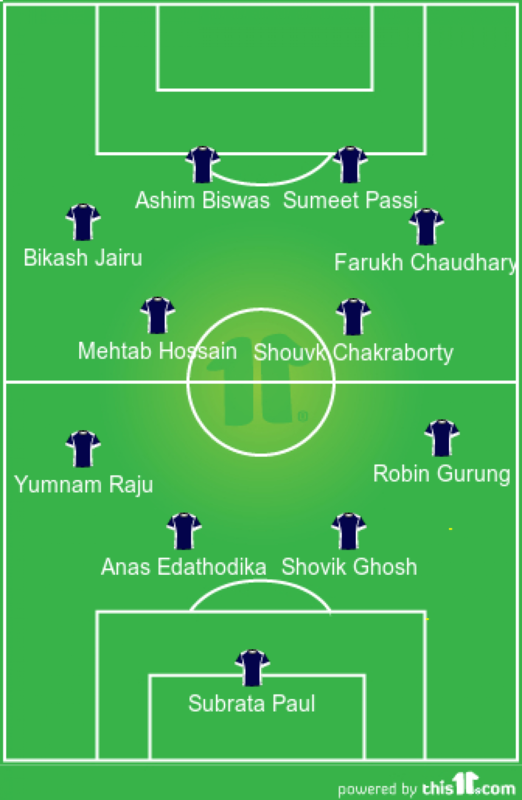 They also retained the promising left-back Prabir Das, who will find heavy competition in Keegan Pereira. 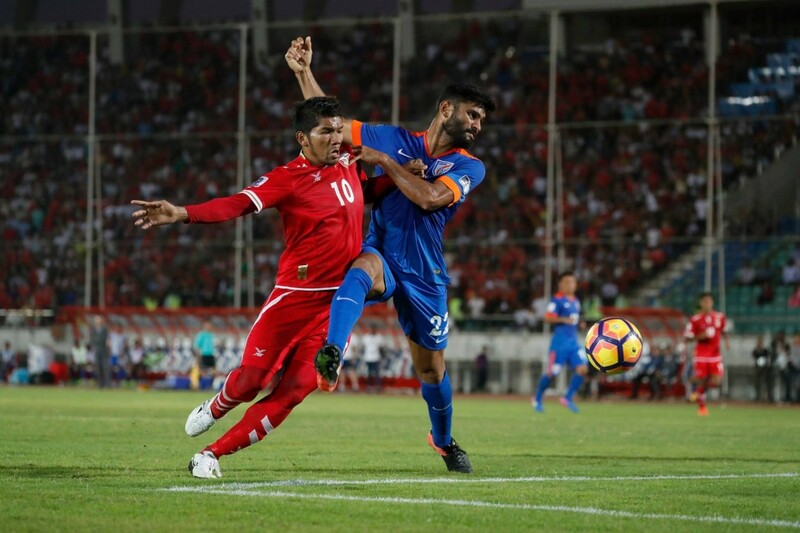 ATK also brought in composed centre-back Anwar Ali as well as the energetic centre-back Augustine Fernandes, and recent I-league winner Ashutosh Mehta. Shankar Sampingraj will hold the line in midfield like he did for Bengaluru FC as a defensive midfielder. Teddy will certainly deploy Jayesh Rane to the left-hand side of midfield where he can be a real threat for ATK, while big money signing Eugeneson Lyngdoh will be played in his preferred position as a central midfielder, around whom the game will be built. Rupert Nongrum will be drafted to the right wing role. A defensive midfielder/box-to-box midfielder and a right winger look imminent. Is Sameehg Doutie making a comeback? Teddy has himself played in many two-man forward lines throughout his career and going by the promising strikers he signed during the ISL Draft, he'll probably play both Hitesh Sharma and Robin Singh together in attack. The energy of the young Sharma and experience of Singh can create a successful chemistry and their hunger for goals will make ATK's attacking threat very difficult to contain for many teams. One or two foreign strikers are also expected to be given a look-in. 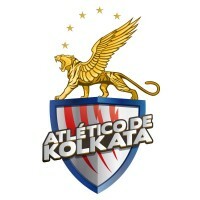 A centre-back and two midfielders, a right winger and a striker look set to come into the Kolkata club. We're sure that this lineup will change, but if an all-Indian XI plays, this is the best ATK has got. Jamshedpur FC the Indian Super League Debutants was at the centre of the limelight in Mumbai during the ISL Players Darft on the 23rd July. Spearheaded by former Kerala Blasters coach Steve Coppell and his able assistant Ishfaq Ahmed, the duo were the main brains behind Jamshedpur’s picks through the day. 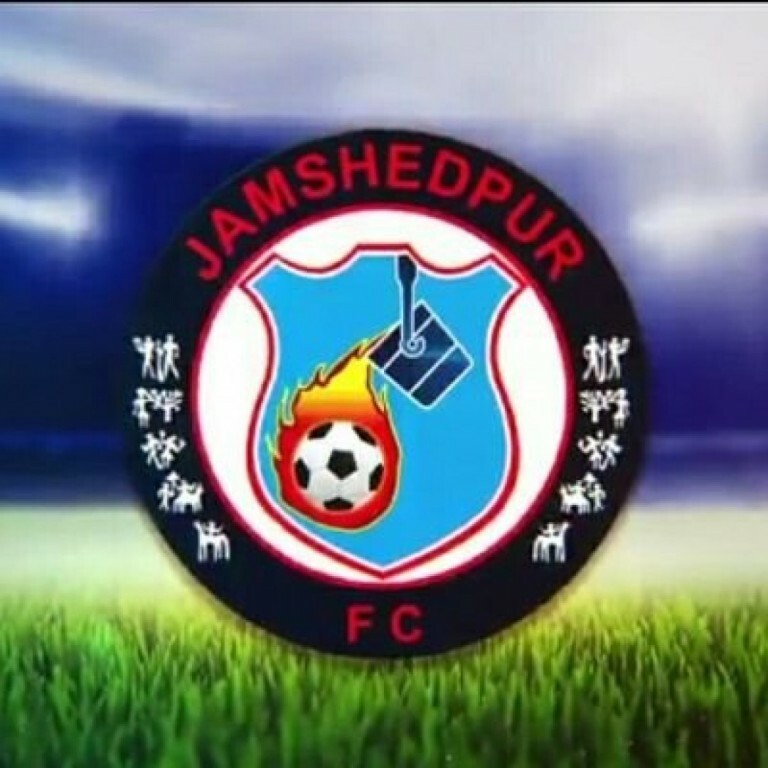 With no formal announcement on any foreigners yet, Jamshedpur needed a strong selection from the Indian players to have any chance to be relevant in their first ever outing at the showcase league in India. Ishfaq who recently concluded his coaching badges got reunited with Steve Coppell as they strive to stitch together a partnership they had initiated during the last season at Kerala Blasters. Starting from a blank slate, the Steelmen made their intentions clear by going for experienced defender Anas Edathodika. The Kerala born centre-back has shown immense maturity and growth over the years. With strong performances at Delhi Dynamos last season followed by a busy season with Mohun Bagan, Anas become one of the highest earning footballers in the draft with a price tag of Rs.1.1 Crore. 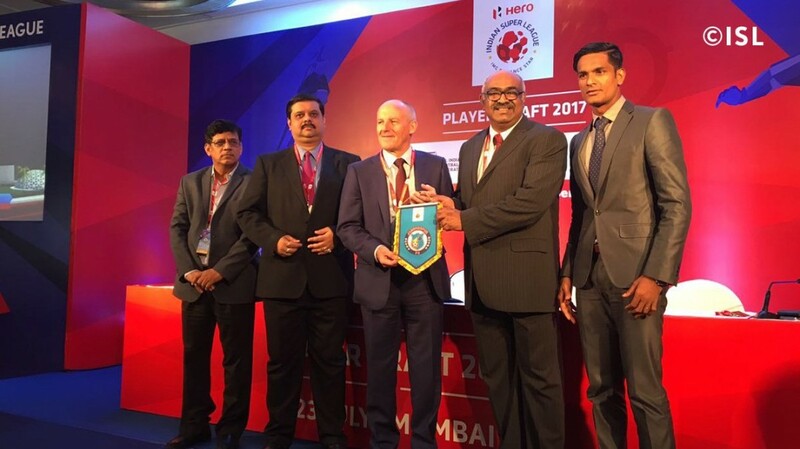 With an intent to fortify their defensive abilities, Steve Coppell and his team next went for experienced Goalie Subrata Paul, who commanded a price tag of Rs.87 lacs. Ishfaq Ahmed, the assistant coach at Jamshedpur, took very little time to pick one of his former colleague at East Bengal, Mehtab Hossain. Mehtab will be spearheading the midfield for the debutants and is known to be loved by Steve Coppell. Former Bagan player Shouvik Chakraborty was Jamshedpur’s next pick. The young Bengali midfielder had a decent outing with Dynamos in the previous year. Experienced side back Robin Gurung soon joined the Jamshedpur camp as the fifth pick for the newbies. Coppell and Ahmed were cautious with their choices, while they picked up experienced stalwarts in their initial few rounds, they followed it up by picking up some exciting young talent such as Shouvik Ghosh, the defender was a product of Pailan Arrow’s project who has now been regularly featuring in I-League and ISL matches. His former Arrows team mate Sumeet Passi joined the team who could get a handy few starts up front. Shivajians duo defender Sairuat Kima and midfielder Jerry M were picked up by the Steelmen. Young Jerry had the chance of his lifetime to train at the famed Liverpool Academy. Mumbai lad Farukh Choudhary was one of the other youngsters picked up who could be handy to add some pace down the wings. Experienced stalwarts Ashim Biswas, Bikash Jairu and Yumnam Raju too joined the ranks of Anas and Subrata. Ashim has over 100 domestic goals in his career, while former East Bengal winger Bikash Jairu has recently caught the attention of national coach Constantine. Raju, on the other hand, provides defensive stability with years of experience of playing for former I-League winning side Churchill Brothers. Jamshedpur sealed off their draft picks by signing youngster Siddharth Singh and a reserve goalie in the form of Sanjiban Ghosh. The former Mumbai FC custodian is expected to step in in the absence of Subrata Paul. Draft picks of Jamshedpur has been one of the most balanced. The team picked the right balance of youth and experience. While stalwarts like Anas and Subrata are expected to lead from behind, they will be ably complemented by youngsters Kima and Shouvik Ghosh. The team is expected to line up in a dynamic 4-4-2 at the moment. Old workhorse Mehtab Hossain, also known as Mr Dependable in Kolkata maidens, will be a key factor for Jamshedpur’s midfield movements. Versatile Shouvik Chakraborty will come in handy to back up the senior pro. With Bikash Jairu in the flanks, the Steelmen will have enough pace in the wings. However, former Kerala Blasters duo Steve Coppell and Ishfaq Ahmed need to invest judiciously in the foreign recruitments as the striking department as of now looks a little weak compared to the others. Youngster Sumeet is yet to establish himself as a regular starter while Ashim Biswas is at the fag end of his career. He had a somewhat decent outing last season with second division side Southern Samity. Steve Coppell may consider looking at Haitian duo Duckens Nazon and Kervens Belfort. The duo was a part of Kerala Blasters squad under Steve Coppell and there are high chances that Steve Coppell and Ishfaq Ahmed might sign the duo before any other teams. 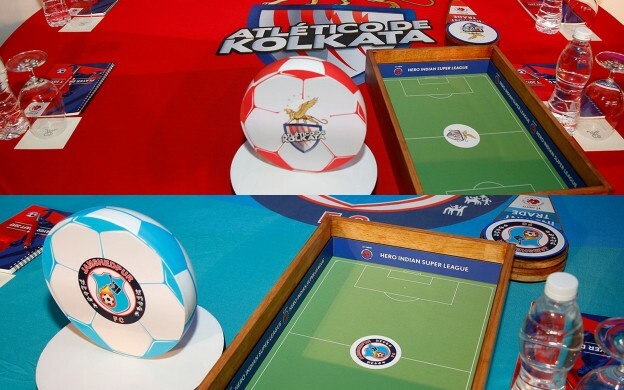 ISL Draft strategy of every club: Revealed!